In our society, today, wasted food is an ever present and growing problem. It is unimaginable how much food Americans throw away each year. More than 38 million tons of food waste was created in 2014 alone, while a small fraction, 5.1 percent, was redirected from landfills and incinerators for composting. The EPA estimates “that more food reaches landfills and incinerators than any other single material in our everyday trash, constituting 21.6 percent of discarded municipal solid waste.” According to reports by the U.S. Department of Agriculture (USDA), more than one third of the vegetables and fruits bought in 2010 were wasted. This does not include any yard waste which can constitute up to another 10 percent of material that could be composted. Reducing the amount of food we waste is a wonderful way to care for the environment. By cutting down on the amount of wasted food we can save valuable resources such as water, fuel, energy, labor, pesticides, land and fertilizers used to grow the food. Throwing away food is like wasting everything that was used to get the food to you. Making compost keeps these materials out of landfills where they take up space and release methane, a potent greenhouse gas. Composting can be a part of the solution to the environmental impact that is caused by our ever expanding landfills. Not only will composting help keep the size of our landfills from growing, it will also lower pollution from transportation and methane production and help produce some of the richest, most nutrient dense soil that your plants have ever had the pleasure of growing in. The organic material that you derive from composting has considerable benefits. By boosting plant health, it helps suppress disease and pests, improves soil structure and its ability to absorb and retain moisture and contains microbes that produce antibiotics. Chemical changes are promoted in the soil that convert nutrients so plants can utilize them, keeps them from leaching out of the soil, and nourishes fungi that transport nutrients from deep in the earth to plant roots. Composting also prevents both air and water pollution, while compost itself can break down some toxic chemicals, immobilize others, and removes still others from polluted soil. 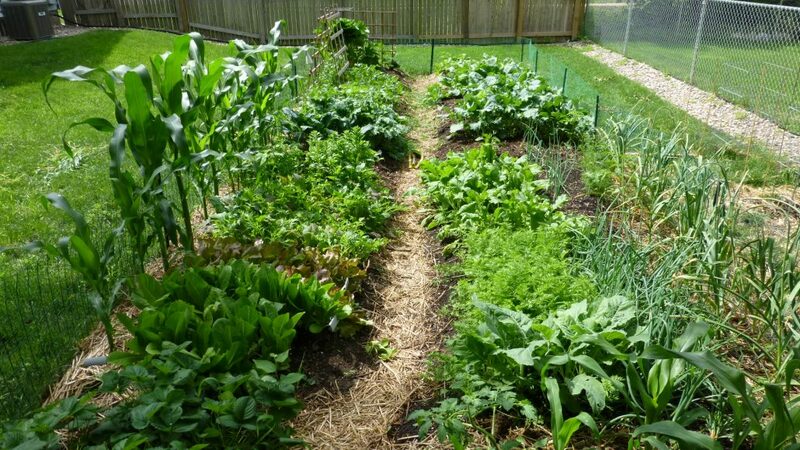 It also reduces the need for synthetic fertilizers and pesticides. Other remarkable tasks it can accomplish: it can balance soil composition by raising pH in acidic soils and lowers it in alkaline soils, it also will improve water retention in sandy soils and drainage in clay soils. Compost is some incredibly diverse stuff. While working on a 4 acre organic farm in Lawrence, KS in 2012 I got to learn first hand just how much food scraps can be kept out of a landfill. After a morning’s harvest my teammates and I would take all the produce and scraps the we could not use for various reasons and throw them in a large square bin made out of heavy duty wire and metal fence posts. It measured about 5 feet squared and 3 feet high. We would throw in a rainbow of fruit and vegetables: from split radishes, tomatoes and watermelon to cracked carrots, browned kale and swiss chard leaves, as well as rotten potatoes and strawberries. Any outer leaves that were pulled off of lettuce and cabbage also went into the bin. It amazed me how much organic material there was available each day and how, with enough air, heat and moisture the pile would steadily decrease in size. I was glad to see it was not going into a landfill and it motivated me to take action at home to reuse the food that had either spoiled in the refrigerator, or was leftover after cutting up produce for meals. Greens: material such as vegetable and fruit scraps, cut grass clippings and coffee grounds. This is where the nitrogen comes from. I do not recommend grass clippings that have been treated with chemical pesticides as this may kill beneficial composting organisms. Browns: this consists of dead leaves, branches, and twigs. I recommend breaking the twigs and branches down as much as possible so they compost easier. This material is where your carbon comes from. If you notice your pile is becoming smelly mix in more browns as they will help absorb and neutralize the odor. Water: provides the moisture needed to help break down the organic material. Ideally you would have one part green to two parts brown, but in my experience it is not always possible, so just do the best you can with what you have available. When adding new ingredients turn the compost pile to help with aerating and hastening the decomposition process. If you can, cover the compost with a tarp or some other material. This will help hold in the heat and moisture which allows for a quicker finished product. If you would like another option to speed up the process you can add substances that are high in nitrogen such as blood, bone alfalfa or other meals, enzymes mixed in water or other commercial compost starters. There are many ways to compost at home. You can use a container as small as a pail with holes for air and drainage, or a bin or a tumbler. If you would rather keep it simple you can just build a pile next to where you garden and toss your fruit and vegetable scraps, grass clippings, leaves, and any plant or flower that has reached the end of it season. I do not suggest composting any diseased or insect ridden plants. Tomato plants, for example, are often full of diseases which you do not want contaminating your compost. You will want to regularly mix or turn the compost and add water. By tending to your compost pile you can manage it so it will not attract pest and rodents or smell bad. 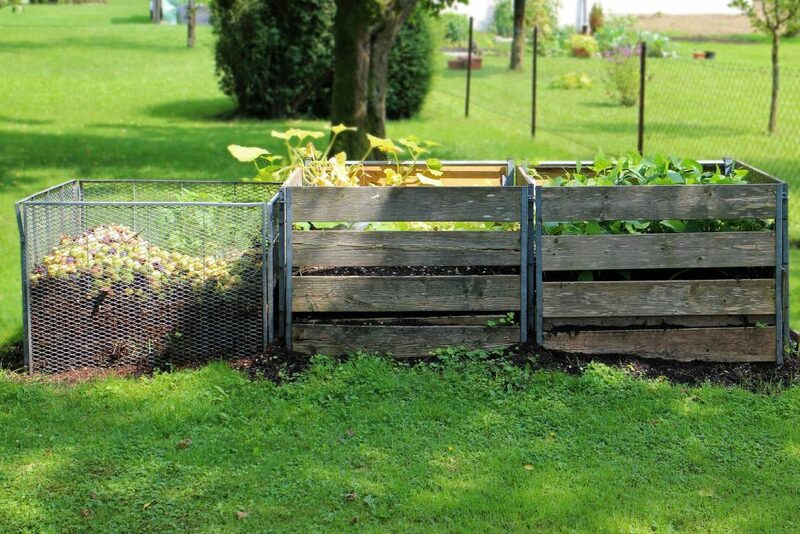 Your neighbors will certainly appreciate a well kept compost pile. It will also help it break down quicker by allowing in more air as you turn it. You will want to watch what you throw in your pile as there are certain items which should not be composted. Coal or charcoal ash, dairy products, meat and fish bones and scraps as well as pet wastes are some examples of what not to compost. If you want to compost and do not have room for an outdoor compost pile you can compost material indoors using a special type of bin that you can make yourself or purchase at a local hardware or garden store. My garden thrived on the composted material I used in it. It has an earthy smell and is dark and rich in color. Once you get started composting you will acquire the knowledge and skill to make this process easier and the delicious results you harvest from the garden will be your reward. 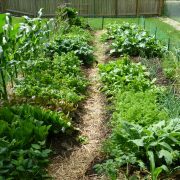 This post was written by Chris Wittrock, Secretary for Project Food Forest.